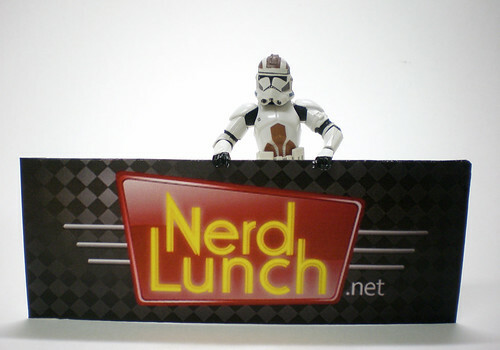 Last week, I made my second appearance on the Nerd Lunch podcast. This time around I joined the lads for an interesting thought experiment. We all created movie-themed restaurant menus (a la the Denny’s Hobbit menu) based on a movie and a restaurant each chosen by another member of the podcast. I whipped up a RoboCop menu for Olive Garden. Pax created a Silence of the Lambs menu for Red Lobster. Jeeg dreamt up a Red Dawn menu for IHOP. And CT formulated a Buckaroo Banzai menu for Dairy Queen. Excellent work was done all around. And seriously, these eateries need to take advantage of our collective genius. Sales would go through the roof! You can download the episode from iTunes (It’s episode #83). Or listen online here. Enjoy! This blog is amazing. Glad to find it through DinoDrac!